Sociology is a relatively young academic field which combines elements of the social sciences with philosophy, history and anthropology to create a comprehensive study of social structures and how individuals relate to them. Sociological findings can be applied both practically and theoretically. 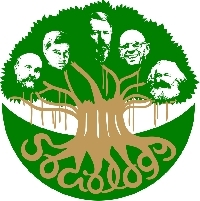 While the term sociology was coined in the late eighteenth century, it is the late nineteenth century scholar Karl Marx who is credited as the father of modern sociology. Most people associate Marx with communist and socialist theories, though he was not the originator of either of these ideas. What Marx did do was create a framework for analyzing the power relations within societies. Marx believed that the wealthier classes of society controlled the majority of resources and were therefore able to exploit the lower classes. Marx then created a more complex theory around this kind of economic-class centered power relationship. He used it to explain historical events such as the collapse of the Roman empire. You may or may not agree with Marx�s theory, but it is a perfect example of the kind of framework that sociologists construct to study major issues affecting societies around the world. In addition to studying differences in power relations, sociologists also study how groups relate to each to each other. Sociologists also study the evolution of cultures within a society. They are concerned with what facets of a culture can adapt to a new community of cultures and what facets are lost to assimilation. Our understanding of such things is essential to our understanding of both history and the current condition of society. Sociologists generally work within one of three fields: academia, public service, and industry (specifically marketing). Academic sociologists generally deal with theoretical aspects of social interaction, such as the ethical implications of group dynamics in a given society. In public service, sociologists tend to gravitate toward social work. They possess an intricate knowledge of the unique challenges faced by members of certain communities and this makes them especially valuable to organizations seeking to provide access to public services. This knowledge also makes them valuable to those seeking to market products to specific groups of people. In this capacity sociologists are able to help marketers find the right language and imagery needed to attract their desired customer base. Though in my experience most sociology major either wind up in academia, research, and public service. Sociology is an ever-changing area of study; new information and non-traditional methodologies are constantly changing the nature of this discipline. In some sectors it is still considered highly controversial with some critics suggesting that it is pseudoscientific or ideologically motivated. However, despite having its detractors, sociology doesn�t seem to be going anywhere, with almost every major state and private university offering it as a major or minor course of study for both undergraduate and graduate students. Sociology is great option for students who are looking to better understand the major social issues that affect us and consider new and useful solutions to those problems.